You remember David Petraeus. He was the Obama era model for a politically correct general. Petraeus left the military with four stars and a chest full of medals only to be undone by Tampa camp followers and a subordinate girl friend from his days in Kabul. Indeed, poor judgement caught up with the general, ironically, while he was Director of CIA. How the chief of a major intelligence agency could not know that NSA or the FBI might be reading his love notes is a mystery to the cloak and dagger crowd everywhere. It is possible, however, that a naive general at Langley was exactly what the White House sought for CIA. A second and terminal Libya fiasco unfolded shortly after General Petraeus and Paula Broadwell became household words. With Benghazi, the CIA, DOD, and the State Department lost a diplomatic cover CIA Annex, a “black” gun running operation, and four brave men, including an ambassador. The al Qaeda/ISIS consortium in Libya has been flourishing ever since. The American ambassador to Libya now does business from Tunisia. Well she might, lest she suffer the same fate as her predecessor. The big loss in North Africa was not an embassy, nor an ambassador. The big loss was Libya, another entire Muslim oil state given over to Muslim theocracy, chaos, and terror. Who would have ever thought that the world would one day be nostalgic for an apostate like Colonel Muammar Gaddafi. The woman who orchestrated, the Libya fiasco as US Secretary of State is now poised to become the next commander-in-chief. Given the politics of generals these days, it’s not hard to imagine that General Petraeus might be auditioning for rehabilitation and another job in the next administration. The United States has forgotten that money is a weapon. China hasn’t. Editor’s note: this article is adapted from a presentation that Amb. Robert D. Blackwill gave at the Naval War College’s Current Strategy Forum on June 15, 2016. I am delighted to be back at the Naval War College. What I am about to say on the issue of geoeconomics is drawn from my recent book, War by Other Means: Geoeconomics and Statecraft, which I coauthored with Jennifer Harris of the Council on Foreign Relations, and which was published in April of this year by Harvard University Press. Despite having the most powerful economy on earth, the United States too often in the past several decades has increasingly forgotten a tradition that stretches back to the founding of the nation—the systematic use of economic instruments to accomplish geopolitical objectives. America has hardly outgrown its need for military force, which will remain a central component of U.S. foreign policy. But this large-scale failure of collective strategic memory regarding geoeconomics denies Washington potent tools to accomplish its foreign policy objectives. The term geoeconomics is in much use today, but almost always without a specific working definition. Some authors tend to focus on the use of geopolitical or military power for economic ends. Others tend to define geoeconomics more broadly, as “the entanglement of international economics, geopolitics and strategy,” a kind of catchall definition that obscures more than it clarifies. In late 2012 India became the world's 3rd largest economy in PPP terms and has grown at an average rate of 7.4% over the 2004-2014 period, from about $750 bns to $2 trn. India is expected to be the 3rd economy (maybe the 2nd) after China and the US by 2050. In the 2000’s, India's share of the global GDP has increased, from 4 to 6%. Since 2012, China’s growth rate has been decreasing, from 7.5% to 6.7%, while the Indian growth rate has been going up, from 5.4% to 7.5%. The point of inflexion was last year, when the Indian growth rate overtook that of China. However, these figures can be explained by the aging of the Chinese population, as the dependency ratio has become very adverse. China is thus getting old before it gets truly rich. This aging process already happened to Europe some time ago and will also happen in India. We're just moving 20 to 25 years behind China. The Indian contribution to global growth rose between the 2000's and the 2010's, from 8.6% to 9.9%, while the Chinese contribution went from 21.8% to 26.4%. Over this period, the American contribution was steady, around 12%. India is changing rapidly due to the population dynamics. The share of the population between 10 and 24 years reached 28% in 2013 and will rise significantly over the next 15 years, whereas the world average is 25%. China’s population is getting older and this is not surprising, as once you become middle-class, you usually don't have more than one child. The rise of the dependency ratio will make it hard for China to maintain its current growth rate. FireEye report says instances of cyberattacks from China have declined, but a more focused approach is providing hackers with better results. This paper describes the multi-vector nature common to most high-profile security breaches in retail enterprises. IT directors and security officers will learn about several of the characteristics common to recent breaches.. The number of cyberattacks against the US and other countries coming from China has declined -- but that doesn't mean targeted corporations and governments are off the hook, because despite there being fewer recorded cases of cyber espionage, the instances which take place are now more calculated and focused. The figures come from cybersecurity researchers at FireEye who've been monitoring the activity of 'China-based groups' and say that since 2014 there's been a "notable decline" cyberattacks and intrusion activity against the US and other targets. 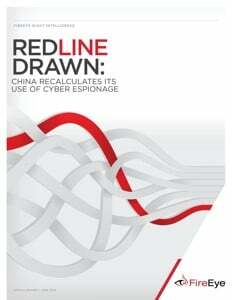 FireEye's data is laid out in new report -- Red Line Drawn: China Recalculates its Use of Cyber Espionage -- and is based upon the activity of 72 groups that are suspected of operating in China or otherwise supporting Chinese state interests. On 13 December 2001, the world’s largest democracy came to a standstill, when five militants, armed with AK47 rifles and grenades, stormed into the Indian Parliament. In an attempt to inflict maximum damage, the militants went on a shooting spree and killed nine security personnel, but failed to penetrate the building’s security. The terrorists failed to execute their hegemonic designs, but successfully triggered a chain reaction that brought the two nuclear neighbours on the brink of an all-out war. 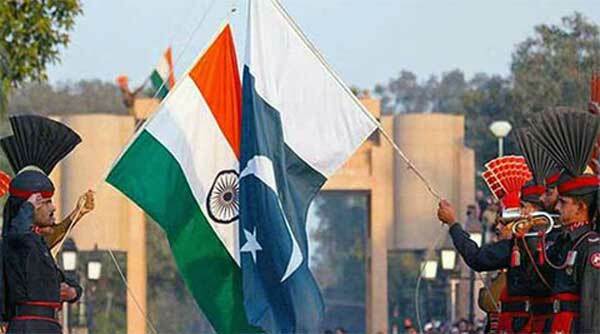 India responded by mobilising its mighty military machine, the largest military mobilisation since World War II. Pakistan, in turn, moved its own troops in response to Indian mobilisation, thus starting a ten month long, intense military standoff between the nuclear neighbours. Over 500000 Indian troops were mobilised in the first stage of deployment. Indian Navy and Air Force were put on high alert and the army was prepared to strike ’high value’ targets inside Pakistan. On 14th Dec 2001, in a speech delivered at the platinum jubilee celebrations of the Union Public Service Commission, Prime Minister Atal Bihari Vajpayee labelled the attack as an act of war against the Indian State and promised to take ‘decisive’ action. “Yesterday’s terrorist attack on our Parliament was unprecedented not only in the history of India, but also in the annals of democracy in the world”, Prime minister said while inaugurating the UPSC silver jubilee celebration. Inking of the trilateral pact between India-Myanmar-Thailand (IMT) making way for the IMT Highway provides seamless vehicular movement between SAARC and ASEAN nations, enhancing trade, business, health, education and tourism between India, Myanmar and Thailand. The previously linked Bangladesh, Bhutan, India, Nepal (BBIN) Motor Pact had identified 14 routes for passenger services and seven routes for cargo movement. 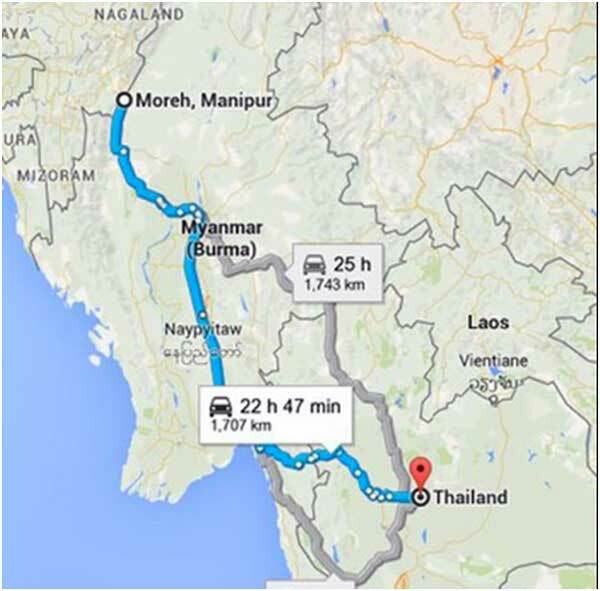 With a total length of 1,360 kms the IMT Highway will link Moreh in India to Mae Sot in Thailand via Myanmar; along route Moreh (India)to locations of Tamu, Kalewa, Yagyi, Monywa, Mandalay, Meiktila, Nay Pyi Taw, Payagyi, Theinzayat, Thaton, Hpa’an, Kawkareik and Myawaddy in Myanmar, further linking to Mae Sot in Thailand. The road’s construction began in 2012, aimed at completing it by 2016. The 25.6 kms long Myawaddy-Thinggan Nyenaung-Kawkareik section of the IMT Highway was put into service in July 2015, reducing travel time between Thinggan Nyenaung and Kawkareik from three hours to 45 minutes. This section also forms part of the East-West economic corridor of the Greater Mekong Sub-region. The IMT Highway will be an important facilitator in Prime Minister Narendra Modi’s Act East Policy (ACEP). In order to catalyze investments from the Indian private sector as part of ACEP, there is a proposal for a Project Development Company through separate Special Purpose Vehicles setting up manufacturing hubs in Cambodia, Myanmar, Laos and Vietnam (CLMV) in order to cultivate extensive economic relations with Southeast Asia. The Agreement between the Government of Canada and the Government of Pakistan for Cooperation in the Peaceful Uses of Atomic Energy (Signed May 14, 1959; Entered Into Force July 18, 1960). Islamic State-inspired terrorism returned to the headlines this month on both sides of the Atlantic. In Orlando the United States suffered its deadliest terrorist attack since 9/11 while in France a police couple were stabbed to death in their own home by a French extremist who threatened that France would become a “cemetery” during the Euro 2016 soccer championships. In our cover story Richard Walton argues the threat to Euro 2016, which concludes on July 10, is more acute than for any other international sporting event in history because of the unprecedented threat to France from the Islamic State and its followers. Walton was the head of the Metropolitan Police’s Counterterrorism Command during the London Olympics and looks at lessons learned for protecting Euro 2016 and the upcoming Rio Olympics. In our second cover story Pieter Van Ostaeyen outlines how the emergence of three clusters of radical extremists in Brussels and Antwerp is the key reason Belgium has contributed more foreign fighters to Syria and Iraq, per capita, than any other Western nation. Sam Mullins analyzes all 47 cases of jihadist-inspired violence between 2012 and the June 12 Orlando attack. He finds that knife attacks like the one in France this week were the most common while shootings like the one in Orlando were the deadliest. Robert Graham, a cyber security specialist, examines how terrorist groups are exploiting powerful end-to-end encryption to try to communicate securely. He explains that while “end-to-end” encryption technology cannot be put ‘back in the box,’ intelligence agencies still have several strategies available to intercept the “ends” of communications. The June issue also focuses on counterterrorism challenges facing Greece. Our interview is with Vassilios Kikilias, who served as Greece’s Minister of Public Order and Citizen Protection in 2014 during which time he oversaw the country’s intelligence and police services. Ioannis Mantzikos outlines how the country has become a gateway for foreign fighters traveling back and forth from Syria creating potential terrorist threats inside Greece as well as the rest of Europe. Despite China’s massive investments in military modernization, U.S. armed forces will retain superiority over potential adversaries for decades to come, Secretary of Defense Ashton Carter said June 20. His remarks came at a time when defense officials and analysts are sounding the alarm that U.S. technological superiority is eroding as Beijing continues to beef up its military capabilities. While not directly naming China as a potential challenger, the Pentagon chief made it clear that he doesn’t foresee any rising powers overtaking Uncle Sam anytime soon. “Thanks to the investments and planning we’re undertaking as part of President Obama’s rebalance to the Asia-Pacific, the United States will have the people, the platforms and the posture to remain the most powerful military and main underwriter of security in the region for decades,” Carter said at a conference hosted by the Center for a New American Security in Washington, D.C. The Pentagon’s fiscal year 2017 budget request calls for $72 billion in research-and-development funding. The nation’s top defense official highlighted plans to invest in a range of systems across multiple domains, including high-end ships, undersea drones, missile payloads, the B-21 long-range strike bomber, swarming microdrones, an “arsenal plane,” advanced munitions, nuclear forces, cyber and electronic warfare capabilities, and preparations for conflict in space. Overall, China’s total debt was 168.48 trillion yuan ($25.6 trillion) at the end of last year, equivalent to 249 percent of GDP, according to Li Yang, a senior researcher with the China Academy of Social Sciences, according to theGuardian. Borrowers ranging from local governments to private enterprises could ultimately default, says Li, creating the possibility for a systemic problem for China’s state-controlled banks. No doubt, the United States stands to lose a great deal from a Brexit. In recent months, countless commentators, as well as the Obama administration, haveemphatically made this point. But few analysts have noted that the same holds true for China. Britain’s departure from the EU would be a costly economic and political blow to China, which worries Beijing. Thus, China has quietly but firmly opposed a Brexit, a message which President Xi Jinping personally delivered during his October 2015 visit to the UK. During the visit, in an unprecedented break with its official policy of noninterference in other countries’ domestic affairs, Beijing also issued a statement declaring that “China hopes to see a prosperous Europe and a united EU.” The message is clear. China’s conflicts with foreign news reporting have added to doubts about its currency policies as it tries to maintain confidence in the economy and control over capital flows. Under the announced policy, the PBOC says that it sets a central parity rate, or “fixing,” based on a weighted average of market prices on the interbank market, allowing the value to rise or fall by 2 percent against the U.S. dollar in domestic trading each day. The rate setting system is one of a series of compromises that China has made since 2005 under pressure from international demands for free trade in its currency. Although the yuan’s value is influenced by the daily fixings, it fluctuates freely on markets abroad. Last December, the PBOC added a further wrinkle following criticism of unexplained devaluations, arguing that the yuan fixings should be measured against a basket of 13 foreign currencies instead of the dollar alone. ISIS: State or Terror Group? Considering the significant number of recent fatal attacks in countries throughout the world either orchestrated or inspired by the Islamic State of Iraq and Syria (ISIS), it is evident that the group poses a significant threat to Western nations, including the United States (U.S.). ISIS has been responsible for more than one hundred major attacks throughout the world since September 2014.1 These attacks, combined with the multitude of threats to the U.S. from ISIS, warrant serious consideration of America’s involvement in counter-terrorist efforts against ISIS. Such efforts have included continuous drone strikes on ISIS leaders and targets in Iraq and Syria; however, the number of drone strikes is miniscule in comparison to the rapid advancement of ISIS in conquering Iraq and Syrian territories.2 In response, the U.S. needs to decide how, when, and at what rate it will continue its efforts against ISIS. Although the extremely violent and gruesome nature of the attacks carried out by ISIS seem to define the group as a terrorist organization, this issue is confounded when considering the group’s recent declaration that it is an Islamic State, contrary to its terrorist characteristics. Further, the complexities involved in defining both terrorism and statehood make this a complicated issue that warrants consideration of a multitude of perspectives, definitions, and theories. Should ISIS be categorized as a terrorist organization and not a state? What should be the U.S. respond be to the continuous threats ISIS poses. While the views expressed in the report are solely those of the authors, the report is informed by deliberations of CNAS’ ISIS Study Group, chaired by CNAS CEO Michèle Flournoy and CNAS President Richard Fontaine. The ISIS Study Group held a series of workshops over a six-month period with more than 35 former and current military and government officials and counterterrorism and Middle East experts. Build coherent regional armed opposition groups from the bottom up that can hold territory, provide security, and marginalize extremists. Increase direct U.S. military support to opposition groups and U.S. direct action counter-network operations against ISIS. Leverage increased U.S. investment on the ground into diplomatic influence with key external actors. Reestablish legitimate and acceptable governance and negotiate a political end-state for the conflicts in Iraq and Syria. Arab regimes’ sympathy over the Orlando massacre may seem hypocritical. But it’s a start. Shortly after Sunday’s Orlando nightclub massacre, which left 49 people dead and many injured, the secretary general of the Arab League, Nabil Elaraby, issued a statement condemning the attack. Al-Azhar, the world’s leading Sunni institution of Islamic scholarship, also issued a statement to this effect, and emphasized that the unlawful killing of any human being is strictly forbidden in Islamic scripture. Both called for international cooperation to fight terrorism, and Al-Azhar expressed concerns for the incendiary use of the massacre to further malign Muslims living in the West. The Arab League and Al-Azhar were joined, with similar reprisals, by Afghanistan, Egypt, Saudi Arabia, Qatar, Iran, the United Arab Emirates, Kuwait and Turkey, among others. Eighty-seven percent of respondents to Al-Jazeera presenter Faisal al-Kasim’s late May Twitter poll agreed that “the battle of Fallujah is an Iranian battle against the Sunnis of Iraq.” Such a sectarian perspective on the Iraqi military’s ongoing campaign to wrest the strategic city in Anbar province from the self-proclaimed Islamic State is but one salvo in a barrage of sectarian responses from Arab media across the region. Even as the Iraqi military moves into the heart of Fallujah, this rampant sectarianism threatens to derail the political challenge to the Islamic State. .
ISIS has a weapon more powerful than guns or bombs: the Internet. War is nothing new for Americans. It is estimated, in fact, that the United States has been embroiled in a conflict for some 222 of the past 240 years, or more than 90 percent of its very life as a nation. But the war that America finds itself currently enmeshed in with ISIS is unlike any other in the country’s history. During the Vietnam War, we knew who we were fighting, and where we were fighting—just as we had during the Great Sioux War, World War I, World War II, the Gulf War, the Iraq war, and even the war in Afghanistan. But with ISIS—an inchoate confederacy of like-minded thugs spread across a region, and increasingly, across the globe—we know none of these things. And a lot of this has to do with technology. ISIS uses technology better than most tech start-ups. Ghost Security Group, a counterterrorism organization, has noted in the past that ISIS utilizes almost every social app imaginable to communicate and share its propaganda, including mainstays like Twitter and Facebook; encrypted chat apps such as Telegram, Surespot, and Threema; and messaging platforms including Kik and WhatsApp. The terror group shares videos of beheadings on YouTube and even more gruesome clips on LiveLeak. They use the remarkably secure Apple iMessage to communicate. They preach to their disciples across the world using Internet radio stations. When a terror attack takes place, they use Twitter to claim responsibility and their followers subsequently cheer with favorites and retweets. Perhaps most frighteningly, the group’s dominance as a modern-day terror network is visible through how quickly their social-media dominance is accelerating. It became almost a habit now for Tunisia to make global headlines following a major attack in the country and then fade into the darks for the few, falsely quiet months in between attacks, only to surprise everyone again when yet another attack occurs. Such has been the case following the March 2015 Bardo Museum attack in Tunis, the June 2015 Sousse attack and the November 2015suicide bombing in Tunis. Thus, the roaring silence emanating from Tunisia since the most recent attacks in Ben Guerdane in March is ominous, not a sign of reassurance. The Islamic State group (ISIS), which had thus far conducted all of the aforementioned major attacks in Tunisia and is therefore the main threat to the country at this point, has a very clear grand strategy in respect to it. This strategy is derived from the group’s ultimate objective of taking over Tunisia as part of its quest for establishing a “global caliphate,” but also from the realization that the time isn’t ripe for it yet, as Tunisia is still a relatively stable country with a security apparatus that will repulse any such attempt. Therefore, ISIS is now setting the stage for this future endeavor by making Tunisia appear unsafe for foreigners, since they make up a significant part of the Tunisian economy via tourism, foreign companies, foreign direct investment, etc. By scaring off foreigners, ISIS hopes to disrupt Tunisia’s revenue, damage its economy and ultimately destabilize it. This has actually been partially successful, as inbound tourism rates to Tunisia dropped by at least 20 percent in the recent year, leaving previously bustling beachside resorts desolate and dealing a major blow to one of the country’s main industries. "At the end of the day, everything is hackable. What I am surprised about is that people sometimes forget that it's so easy to hack into these devices," said Adi Sharabani, the co-founder of mobile security company Skycure, who used to work for Israeli Intelligence. "It's important to realize that the services your smartphone relies on are much more attractive target to attackers. So for example, the photo leak that happened from iCloud where a bunch of celebrities had their photos posted all over the Internet is the perfect example," said Alex McGeorge, the head of threat intelligence at cybersecurity company Immunity, Inc.
Often, the hack or data breach occurs without the consumer's knowledge, according to Sharabani. A recently-released document highlights how little the Pentagon’s concerns and responses to threats in cyberspace have changed in the past decade. As American legislators debate the future of the military’s top cybersecurity headquarters, experts say that’s both good and bad. 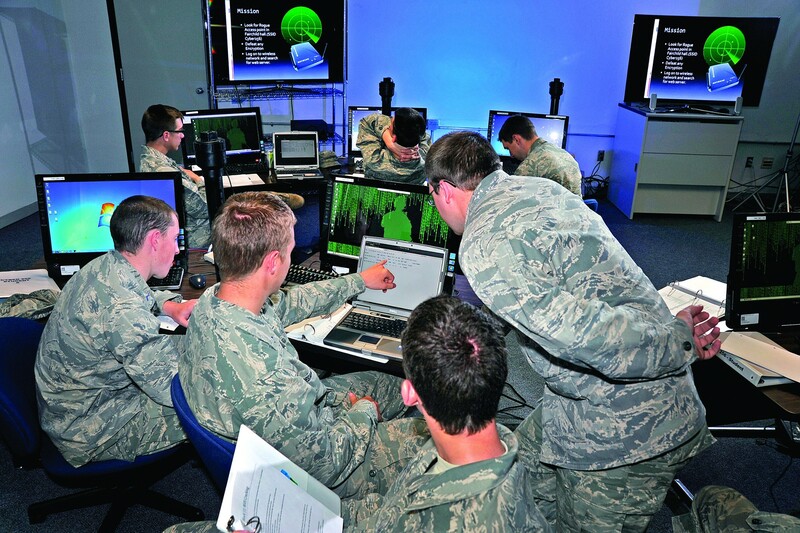 In 2006, the Pentagon organized a first-of-its-kind exercise involving a “directed professional attack” across military computer networks. The “Bulwark Defender” cyber war game was supposed to help military planners determine how well troops from different units communicated with each other while enemy agents hacked their computers. The exercise would “confirm [the] importance of defending networks,” according to an official review. War Is Boring obtained the report — previously labeled “for official use only” — via the Freedom of Information Act. South Korea says the North has a strong cyber army which it has blamed for a series of attacks in the past three years. The Cyber Defense curriculum, funded by the defence ministry, trains young keyboard warriors who get a free education in exchange for a seven-year commitment as officers in the army's cyber warfare unit - and its ongoing conflict with North Korea. North and South Korea remain in a technical state of war since the 1950-53 Korean War ended in an armed truce. Besides Pyongyang's nuclear and rocket programmes, South Korea says the North has a strong cyber army which it has blamed for a series of attacks in the past three years. The cyber defence programme at the university in Seoul was founded in 2011, with the first students enrolled the following year. One 21-year-old student, who allowed himself to be identified only by his surname Noh, said he had long been interested in computing and cyber security and was urged by his father to join the programme. All South Korean males are required to serve in the military, usually for up to two years. "It's not a time burden but part of a process to build my career," Noh said. "Becoming a cyber warrior means devoting myself to serve my country," he said in a war room packed with computers and wall-mounted flat screens at the school's science library. The general thrust of the vision earned positive reviews from a top space expert. “It is good that the US government is finally getting serious about national security space. For a long time, there has been a lot of talk and not a lot of walk,” says Theresa Hitchens, a senior research scholar at the University of Maryland’s Center for International and Security Studies. Please don't trojan our software, because it hurts the trust relationship we have between ourselves and our customers. "Loss of trust is the single biggest concern we all have." We don't want to bear the cost of all the cyberwar every government wants to do, or all the regulatory regimes they can think up. He goes on to say that of course he really likes the Vulnerability Equities Process - lots of people think this is the answer towards limiting our offensive capabilities. But the Vulnerability Equities Process is not cost free. In some cases, the resources people assume we have for developing additional capability in this space just don't exist at all. What they're really arguing for is an unrealistic unilateral curtailing of our offensive capability. But some of his requests are reasonable when you consider what we expect from other countries as well - in particular, how do you limit the events such that they are "Discriminant" and not "Mass events". The classroom is a computer screen. Participants are just names in a box and the instructor is a disembodied voice. But ask a regular, and they’ll tell you: They almost never miss a class. Most Thursdays at 8 a.m. Eastern, they log in to learn something new, refresh their knowledge and get smarter. They’re all professional systems administrators and information security officers employed by government agencies and trying to stay up to speed so they can keep ahead of the bad guys. They are in the United States, Europe, Asia, watching on a laptop at home or in their offices and cubicles. Wherever they are and whatever their job, what brings them together is the State Department’s Cybersecurity Online Learning (COL) program, an ongoing series of classes and workshops open to anyone with a .gov or .mil email address. Those who can’t make it live, can log in later and watch the recorded version of the session. Recent sessions covered incident management and two-factor authentication, securing unstructured data at rest and even holiday cyber scams. On this day in May, the topic is the annual Symantec Internet Security Threat Report, a nationwide cyber security threat assessment. Kevin McPeak, security architect for public sector strategic programs at Symantec, leads the class and at class time, 38 students have logged in. Nearly 20 more will log in over the next 20 minutes.